While many folks are looking forward to wagering on upcoming horse races, you can bet Double R Manufacturing is taking pride in being one of America’s premier horse-stall fabricators. Double R’s Ocala-based headquarters located in “The Horse Capitol of the World” is home to some of our nation’s greatest thoroughbreds, but Double R’s contribution to the equine community reaches far beyond our Central Florida home. One of Double R Manufacturing’s significant achievements is told in the re-building story of San Luis Rey Downs in Bonsall, California, which tragically lost beloved horses and experienced the destruction of several barns and hundreds of horse stalls during a 2017 wildfire. In a desperate need to rebuild quickly, the fabricator of choice was Double R Manufacturing. Double R’s team was honored to work with award-winning, Omaha-based Valmont Coatings, which is considered a leader in hot-dip galvanizing and recognized by the American Galvanizers Association for numerous projects. 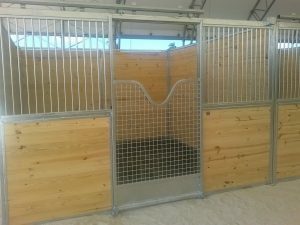 According to stats provided by Valmont Coatings, the entire project consisted of 57 tons of galvanized steel for 250 new stalls, featuring 4-framed walls with safety doors and windows. Meticulous attention to details and specifications were necessary for safeguarding against warpage and for ensuring strategic placement of vents and drain holes to provide a smooth, hot-dip galvanized coating. Double R Manufacturing completed fabrication at our Ocala facility to ensure quality control before sending the finished products to California for installation in time for successfully meeting the customer’s move-in-ready goal of April 2018. With expectations surpassed, and a year gone by, the active barns have stall equipment standing strong. The durable coatings have offered superior corrosion protection, aesthetic appeal, and sustainability. Enduring salty air and a rigorous equine environment, was particularly important to The San Luis Rey Downs, which deserved only the highest quality, built-to-last horse stalls to keep their magnificent horses safe now and for future generations. With 75 years of combined experience in design and fabrication, Double R’s team invites you to browse our galleries of barn accessories and stable equipment customized for the equestrian community: Customized Barn and Stall Equipment. 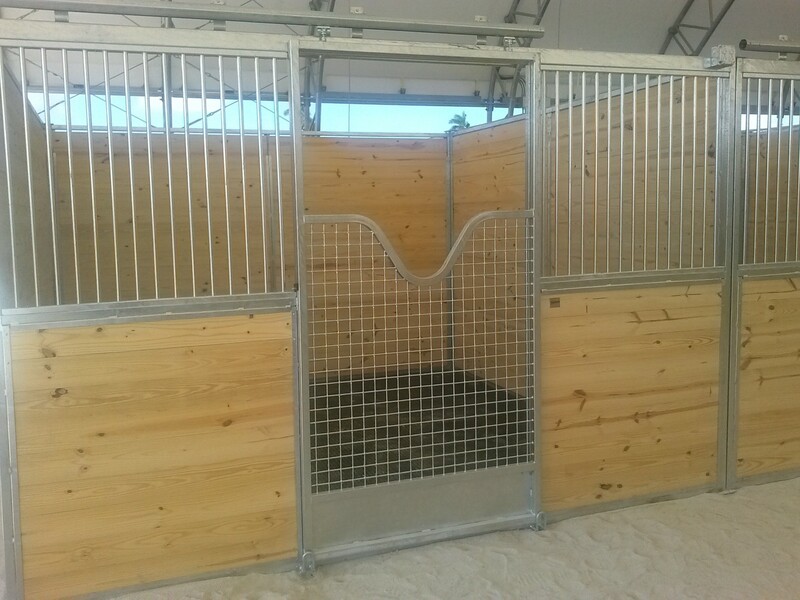 You’ll find we are setting a new standard of excellence in stall and barn accessories, stall-breeding stocks, stall doors, stall-Dutch doors, stall-end wall doors, stall window bars, stall fronts, stall shutters, stall hardware, stall shutters, stall-window bars, and more. For racing enthusiasts out there, mark your calendars for these upcoming 2019 races: The Kentucky Derby (May 4), Preakness Stakes (May 18), and Belmont Stakes (June 8). Call Double R Manufacturing today at (800) 813-3361 to learn more about our products and services. We will be happy to answer any questions. Double R Manufacturing is ready to surpass your expectations.